Very nice shimmery colour. Looked great in out homemade soaps. I love the vibrancy of this mica and the beautiful subtle shimmer! Beautiful color and goes a long way. Wow! I used this mica in a homemade balm. The color was a lovely soft green and not grainy. Mixed in very well and only used a small amount. Wonderful product. 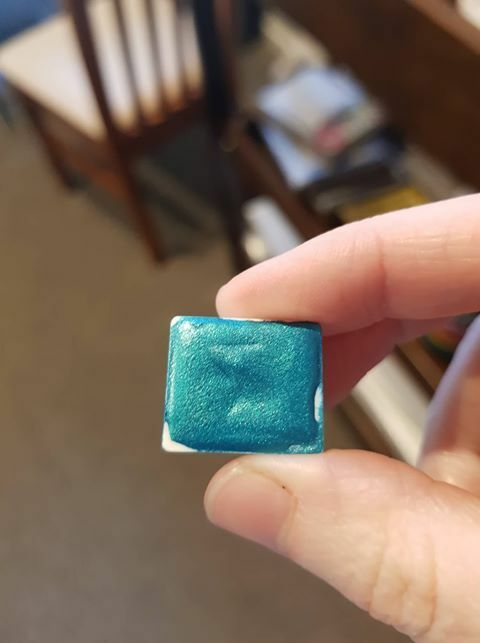 Lee-Anne R. Reviewed by Lee-Anne R.
Stunning blue/green, looks beautiful in cold process soap. I fell in love with this colour online and it does not disappoint! Such a beautiful colour. I am so excited to use with my watercolour palette.